Direct Image Download Link: High Resolution. K-Tek, makers of microphone boom poles, mounts, and the popular Stingray audio harness and mixer bags, introduces the Gizmo Bag Set. 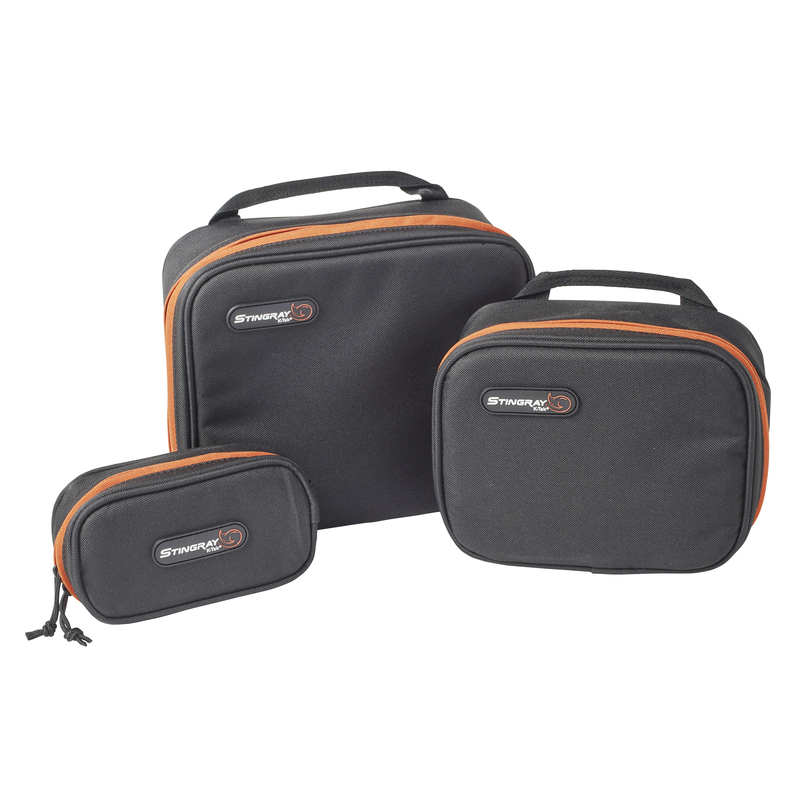 In small, medium and large, these multi-purpose bags provide compact organization of cables, adapters, wireless audio transmitters, batteries, lavaliere accessories, tape rolls, and more. With clear, see- through bottoms, users enjoy quick, visible identification of contents. Ideal for the Sound Utility, Gizmo Bags are useful for many other on-set tasks, as well. All 3 Gizmo’s feature sturdy dual wrap-around zippers, giving complete access to the contents as well as zippered transparent pockets in the lid, ideal for storing very small items. Like the rest of the Stingray family, Gizmo bags feature black exteriors and vibrant orange fabric interiors to help users differentiate contents, even in dark environments. Each bag has outside straps that can unsnap to connect the bags to the common Molle attachment system, which also comes standard on all Stingray Audio Bags. 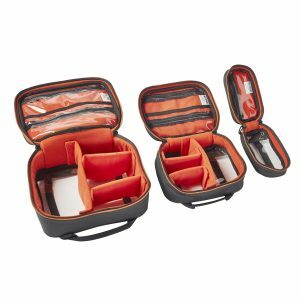 Inside, the Medium and Large Gizmo Bags have 3 padded movable dividers to form customizable compartments to help organize storage and all 3 bags have padded edges to protect the contents. Each features a see-through bottom to give a clear view to the inside of the bags without opening. Made with high quality material and premium workmanship for the demanding production environment, Gizmo Bags are ideal to help organize and protect essential items on set, for every department. The KGBS1 Small Gizmo bag (7.1 x 3.9 x 2.4 inch [18 x 10 x 6 cm]), KGBM1 Medium (8.9 x 7.1 x 3.6 inch [22.5 x 18 x 9 cm]) and KGBL1 Large (10.8 x 9.1 x 4.3 inch [27.5 x 23 x 11 cm]) come as a set (KGBSET) or individually. Available now, the set of 3 lists for $99.00 and is available through authorized K-Tek dealers. Copyright © 2018 About the Gear.com. All Rights Reserved. contact: info@aboutthegear.com or like us on Facebook.